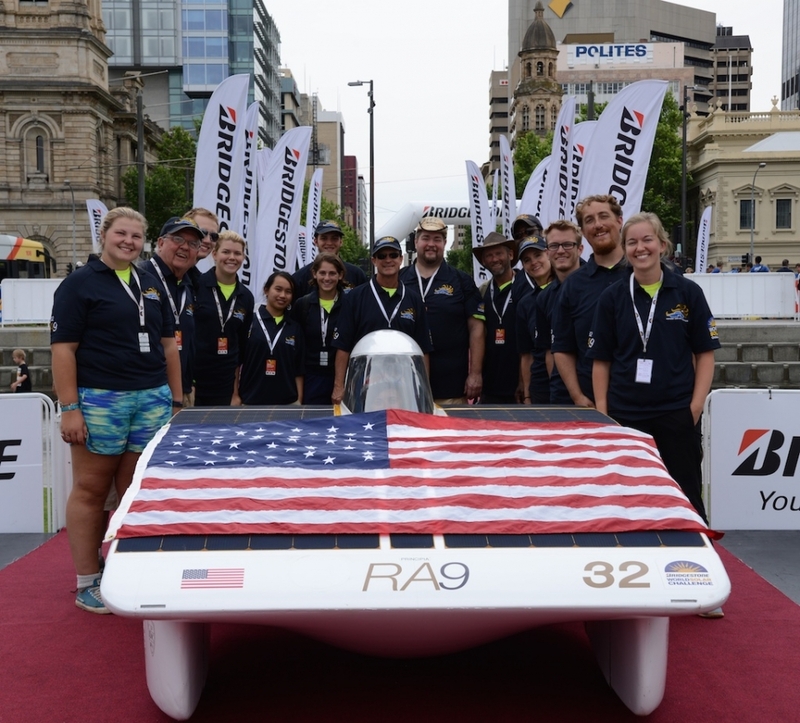 Principia’s solar car team placed 17th among 45 teams at the World Solar Challenge (WSC) last month and was one of only four teams to complete the 3,000-kilometer trek from Darwin to Adelaide exclusively on solar power. Principia raced Ra 9 in the most competitive level, the Challenger Class, as the only solar car in the field designed and built to meet specifications for both the WSC and the American Solar Challenge. Contending against teams with high-profile corporate sponsorship, and some that hired professional racecar drivers, Principia finished ahead of large universities and technical institutes, including Massachusetts Institute of Technology and the University of Cambridge in England. With their cars allowed no more than six square meters of solar panels, teams met “down under” to race on the Stuart Highway—a route as iconic to Australia as Route 66 is to the United States. In 2013, officials added the Cruiser Class, which attracted considerable media attention since these solar cars are designed to carry passengers—a nod to WSC’s goal of inspiring teams to address the possibilities of sustainable transport. This year, the largest Cruiser vehicle carried four passengers. Up next is the 2016 American Solar Challenge (ASC), which will likely be the last race for Ra 9, as design for Ra 10 is already underway. ASC is partnering with the National Park Service as part of the latter’s 2016 centennial to bring the event to nine national parks and historic sites, including a checkpoint at the Ulysses S. Grant National Historic Site, not far from Principia’s St. Louis campus. Read more about the eight-day, 1,800 mile ASC course through seven states from Brecksville, Ohio, to Hot Springs, South Dakota.